Oliver was invited to a party for twin boys. 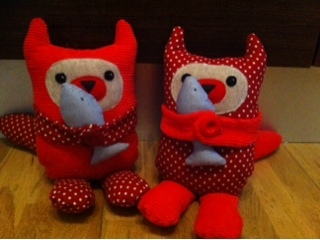 So I made twin cats, each with their own fish. Hopefully they like them.